In Money Jihad’s earlier post on the history of terror finance in Chechnya, one name came up again and again: Ibn al-Khattab. The terrorist leader was an early disciple of Osama bin Laden, and would benefit from bin Laden’s encouragement and financial support for years until al-Khattab’s death in 2002. The Chechen jihadists received another injection of strength at this time with the arrival of an organized group of hardened Arab mujahedin from the Gulf states, including Saudis and Kuwaities, and the Maghreb region of north Africa, including Algerian, Moroccan, Tunisian, and other troops. These fighters were commanded by one Ibn al-Khattab, often referred to as Emir Khattab or simply Khattab. Khattab, whose real name was Samir bin Salakh al-Suwailim, was a Bedouin from the Suwailim tribe of northwest Saudi Arabia and southern Jordan; over the years he has identified himself with both nations, depending on the circumstances. Born in 1970 to a fairly wealthy and well-educated family, Khattab received both Western and Muslim education, including learning English. In 1987 he was accepted to a college in the United States, but before continuing with his education, he decided to visit Afghanistan and briefly participate in the jihad. Arriving in Pakistan in the fall of 1987, Khattab met some of the key leaders of the Arab “Afghans,” including Sheikh Abdallah Azzam, Sheikh Tamim Adnani, and Osama bin Laden. Captivated by their call for jihad, he committed his life to the jihad. Khattab ccompleted his training in the international camp in Jalalabad, under Hassan al-Sarehi, the commander of the 1987 Lion’s Den operation in Jaji. Impressed with the zeal and skills of his young trainee, Sarehi invited Khattab to join his forces in Jaji. Between 1988 and 1993, Khattab participated in all the major operations in the Afghan jihad, including the capture of Jalalabad, Khowst, and Kabul. He also spent time expanding his knowledge of Islam and his military skills, while becoming conversant in both Pashto and Russian. Khattab would later claim that he decided to join the Chechen jihad after seeing televised footage of Islamist mujahedin reciting takbirs (Koranic verses) before going into battle. But his status as a commander also played a role. By the early 1990s, Khattab had emerged as one of the most fierce and competent commanders, popular with both the Afghan and the Arab “Afghan” mujahedin. He also became one of bin Laden’s key protégés. Khattab spent the years between early 1993 and early 1995 commanding a small Arab elite force in support of the Tajik Islamist mujahedin, particularly in the Fergana Valley. He returned to Afghanistan to train and lead one of the first elite forces to go to Chechnya. 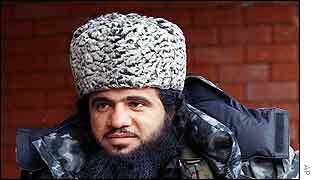 When bin Laden and the Islamist-Jihadist leadership decided to escalate the jihad in the Caucasus, they summoned Khattab back from Tajikistan and dispatched him to Chechnya. Ali Hammad, a senior al Qaeda commander in Bosnia-Herzegovina in the mid-1990s, knew Khattab as a senior commander under bin Laden and considered him “one of the more important personalities in Al Qaeda.” Ali Hammad confirmed that Khattab went to Chechnya on bin Laden’s orders, and that he and bin Laden personally managed the subsequent flow of jihadist volunteers into the area. The Obama administration and its allies would later criticize George W. Bush for creating a “chilling effect” on Muslim charitable giving by closing down organizations such as BIF, and Pres. Obama personally promised to make it easier for American Muslims to donate zakat. In addition to receiving money from BIF, al-Khattab secured funding from Osama bin Laden in 1999 to fund Chechen operations. The website History Commons has noted that Osama bin Laden and Ibn al-Khattab also shared the same wealthy Arab donor network. By October 2001, Khattab had an enough of a financial war chest to offer to pay salaries and death benefits to jihadists who went to fight in Afghanistan against the impending American and coalition invasion. It’s a mistake to think that any single terrorist operation only cost the price of materials used to carry out the operation. It takes a lot of money to create a culture of indoctrination, training, and media messaging. A single attack is the result of sizable investments over a long period of time by men such as Ibn al-Khattab. In a 2003 study, the CDI found that, “Osama bin Laden and his al Qaeda network provided much ideological and financial support to the SPIR after the mid-1990’s. Read the rest of this entry ? 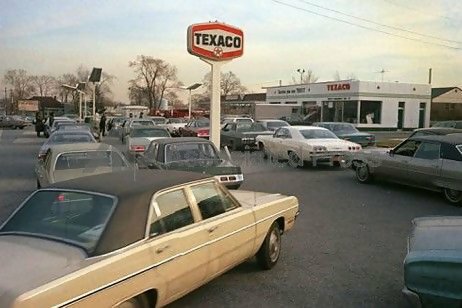 Thirty-nine years ago today, OPEC announced the price hikes that would result in the oil crisis of 1973. U.S. attempts to limit the price of gasoline resulted in supply shortages and long lines at American gas stations. The instigators of the Arab oil embargo were rewarded for their mischief-making by obtaining concessions on Israeli troop withdrawals negotiated by the U.S. The OPEC Oil Embargo, which lasted from October 1973 to March 1974, posed a major threat to the U.S. economy. Moreover, the Nixon Administration’s efforts to address the effects of the embargo ultimately presented the United States with many foreign policy challenges. During the October 1973 Arab-Israeli War, the Arab members of the Organization of Petroleum Exporting Countries (OPEC) announced an embargo against the United States in response to the U.S. decision to re-supply the Israeli military during the war. OPEC members also extended the embargo to other countries that supported Israel. The embargo both banned petroleum exports to the targeted nations and introduced cuts in oil production. Several years of negotiations between oil producing nations and oil companies had already destabilized a decades-old system of oil pricing, and thus the OPEC embargo was particularly effective. Implementation of the embargo, and the changing nature of oil contracts, set off an upward spiral in oil prices that had global implications. The price of oil per barrel doubled, then quadrupled, leading to increased costs for consumers world-wide and to the potential for budgetary collapse in less stable economies. Since the embargo coincided with a devaluation of the dollar, a global recession appeared imminent. U.S. allies in Europe and Japan had stockpiled oil supplies and thus had a short term cushion, but the longer term possibility of high oil prices and recession created a strong rift within the Atlantic alliance. European nations and Japan sought to disassociate themselves from the U.S. Middle East policy. The United States, which faced growing oil consumption and dwindling domestic reserves and was more reliant on imported oil than ever before, had to negotiate an end to the embargo from a weaker international position. To complicate the situation, OPEC had linked an end to the embargo to successful U.S. efforts to create peace in the Middle East. To address these developments the United States announced Project Independence to promote domestic energy independence. It also engaged in intensive diplomatic efforts among its allies, promoting a consumers’ union that would provide strategic depth and a consumers’ cartel to control oil pricing. Both of these efforts were only partially successful. The Nixon Administration also began a parallel set of negotiations with OPEC members to end the embargo, and with Egypt, Syria, and Israel to arrange an Israeli pull back from the Sinai and the Golan Heights. By January 18, 1974 Secretary of State Henry Kissinger had negotiated an Israeli troop withdrawal from parts of the Sinai. The promise of a negotiated settlement between Israel and Syria was sufficient to convince OPEC members to lift the embargo in March 1974. By May, Israel agreed to withdraw from the Golan Heights. Rather than supporting energy independence that would prevent American foreign policy from being held hostage by the Arab world again, Democrats and environmentalists have continued limiting energy production at every turn over the years by prohibiting ANWAR drilling, blocking the Keystone XL pipeline, imposing a moratorium on Gulf of Mexico drilling, pushing for heavy taxes on oil companies and gasoline, keeping excessively long permitting processes for building new oil refineries or authorizing hydraulic fracturing, and by fabricating doomsday scenarios about peak oil. More on the history of jizya can be found in our prior coverage here. Okay, trolls, here’s your big chance. This is where you can respond and repeat your false claims that jizya isn’t in effect today (even though it is), that the jizya tax rate is low (even though it isn’t), that jizya isn’t a tax but some type of “compensation,” or “recognition” of the state (which it isn’t), that jizya is “fair” because Muslims pay zakat (which is irrelevant), that jizya is a progressive or “graduated” tax (a misleading claim), or that jizya has been imposed by Hebrews against their enemies (which is false), etc. Here’s a clever graph and piece from Citizen Warrior last summer which makes some very good points. It concludes that we should be buying flex fuels. That certainly wouldn’t hurt, but in the U.S., voting for candidates who would expand domestic oil drilling would do more to decrease our Middle East oil dependence more rapidly. MONEY IS THE POWER behind jihad. This has been the case since Muhammad began his raids on caravans. Look at the graph below. Before Muslims started gaining plunder, their numbers hardly increased for 13 years. Once the money started coming in, Islam’s success rate skyrocketed. Plunder from raids was only part of the cash flow. They also confiscated goods from the Jews they expelled from Medina (and the Jews they slaughtered, taking their women and children as slaves). The other very crucial part of the Islamic cash flow was the jizya they took from the dhimmis. All of these forms of income were parasitical. They took wealth from non-Muslims and added it to the cause of Islam. And it is happening today. The non-Muslims of the world paid OPEC nations three and a half TRILLION dollars last year. That number should make you sit down to catch your breath. It is a literally incomprehensible sum of money. Much of it is now in the hands of orthodox Muslims. Just like the use of jizya in Muhammad’s time, orthodox Muslims drain the wealth of non-Muslims, keeping them weak and struggling, while strengthening and enriching Islam’s prime directive. The world is now in a severe and prolonged recession. Why? We’re paying a rapidly growing percentage of our income to Islam. Do you want this to stop? We need to all become flex fuel fanatics. Petroleum must get competition. It must get so much competition that its strategic status is reduced to just an ordinary commodity like any other (rather than the indispensable commodity everyone must have). This can be done. It MUST be done if we have a hope of stopping the third jihad from succeeding. The key to jihad is money. The key to stopping jihad is stopping the money.